Oh No! School is closed! What are you going to do all day? We are here with your list of engaging activities for both inside and outside, when school is out. Take this opportunity to relax, reset your batteries, and enjoy your staycation. We hope you enjoy the quality time as a family! Try new recipes. Kids love to cook! Have your kids help in the kitchen. Play restaurant by making menus, setting the table and role playing the server, chef and patron. Dance Party! Get grooving to the music with your kids. Play freeze dance or even break out the instruments (or pots and pans) and make a marching band. Take silly dance party and music videos! Play Board Games and Cards. Time to get out those new games! Or break out some old favorites. Tea Party. Afternoon tea party with the kids in some fancy hats. Maybe not tea, but lemonade or hot chocolate! Who says the snow has to stay inside? Bring in a few pails of snow and put it in your bathtub, shower, or big plastic bin for your kids to play with. Give your kids buckets, shovels, measuring cups, and spoons. They can play until their little fingers are cold! When their fingers get chilly, paint your snow! Use water color paint with a brush or a squirt bottle with water and food coloring to paint your snow. Snow Cones or Ice Cream with Real Snow! Snow Cones: Scoop up some clean, newly fallen snow into bowls. Top with your favorite fruity simple syrup (I just combine some frozen fruit and sugar in a saucepan until the sugar is dissolved, and fruit is mushy. You can strain it, if you prefer, but my kids don’t mind the fruit). Ice Cream: Combine a can on sweetened condensed milk, 8 cups of snow, and a teaspoon of vanilla for instant ice cream. Add your favorite toppings for a snow day ice cream sundae. Obstacle Course. Burn off some energy by creating an obstacle course for your kids. Over pillows, under cushions, hop like a frog, crawl like a crab, use painters tape in a hallway to create an over and under path, make a hopscotch, etc. Time your kids and make it a race to beat their best time! Treasure Hunt! Hide a special treat or stuffed animal and play hide and seek. You can hide the ingredients of what you are going to bake and have your kids search for them. Movie Day! Make some popcorn, pull out all of your blankets and pillows, get comfy, and snuggle with your kids. Bowl. Use empty toilet paper tubes and a ball to create your own bowling alley at home! Valentine’s! There is only a few weeks before Valentine’s Day. Use the day off to start writing your valentines for school. Or, make a Valentines craft with your kids. Paint both hands with glue or paint and stamp it on a piece of paper in the shape of a heart. Add glitter to make it fancy. Great easy craft for grandparents to keep! Paint hands and make handprints on paper. Draw in leaves and stems to make a bouquet of handprint flowers. Kid Spa. Pamper yourselves and your kids. Soak your feet in a nice warm tub, paint nails, cut cucumbers for your eyes, and give each other a back massage. Please be sure to look at websites for the most current information as hours may change during the holiday season. Hit the library. Libraries don’t just have books anymore! Huge play areas at the library can keep your kids playing while you pick out a new movie and books to check out and watch together. Check out our best library play areas here! Ice skate or roller skate at a local indoor or outdoor rink. Get some fresh air and visit one of our top six forest preserves for kids for an outdoor walk. Looking to get out for lunch or dinner? Check out this list of places where kids can eat free. Indoor Exercise Places. Check out a rock climbing wall or a trampoline park for some indoor exercise. Indoor Play Areas. There are plenty of indoor play areas, playgrounds and inflatables in this area. Try a new one! Go bowling together at one of these family-friendly bowling alleys. Feel like a swim? Many indoor pools have family swim times. Museum Day! Check for free days during winter months too! 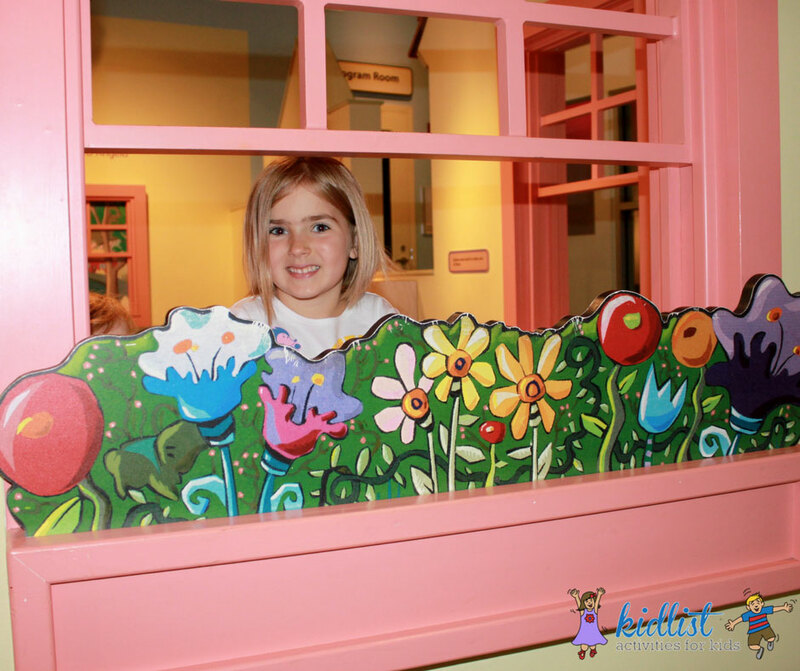 Visit one of the highly popular Chicago-area children’s museums in either the city or the suburbs. Click here for descriptions and age recommendations for each of the Chicago-area children’s museums. Have a little one at home? Take a look at our suggestions on places to go with a baby or toddler. Snow Guide! You should also check out our Snow Day Guide for play during a snow day to keep the fun going! Have a place you like to visit? Or an at home activity that keeps your family entertained? Please share as we would love to hear from you! Be the first to comment on "28 Things to Do When School Is Closed in the Western Suburbs"